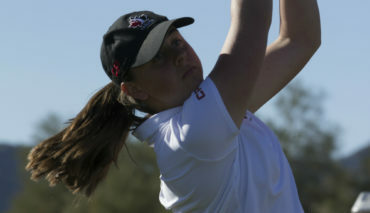 Development Squad’s Chloe Currie carded a 4-over-par 76 in round three of the Investors Group Ontario Women’s Amateur to sit T5 at 9 over par through three rounds at Galt Country Club in Cambridge, Ont. 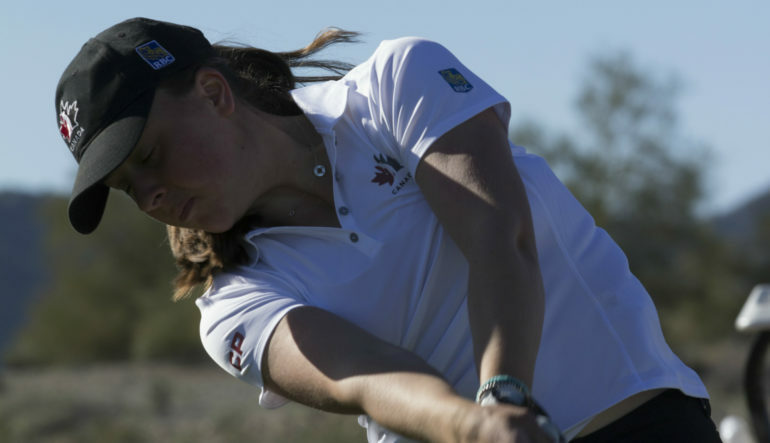 The Mississauga, Ont., had had one birdie, three bogeys, and a double-bogey to shoot 76 for the second consecutive day and sit five shots back of Ridgeway, Ont., native Madeline Marck-Sherk and Kesley Sear from Unionville, Ont., who share the lead at 4 over par. Marck-Sherk carded a 7-over-par 78 in round three, and Sear posted a 2-over-par 73, the lowest score of the day, in wet and tough conditions that led to play being suspended early on for a few hours. Mitchell, Ont., native Courtney Tolton is T3 at 8 over par alongside Victoria Zheng from Markham, Ont. Rounding out the top-five is another Mississauga resident Michelle Ruiz who is tied for fifth with Currie at 9 over par. 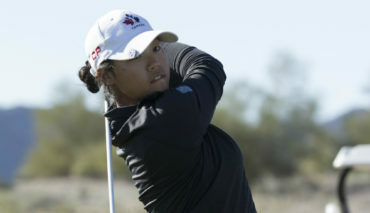 Currie’s Development Squad teammate Monet Chun is T22 at 18 over par – carding an 11 over par 83 in round three.